Maybe it’s silly to reflect on another year gone, we should live everyday as a new day instead of falling into the same habits but we are only human right? Well, in 2017 I learned to let myself just BE human. It’s always a growth process. I’m part of a few running groups on Facebook one member thought it would be cool for everyone to share their 2017 experience and reflect on the year. It’s that time of year! Tell us how your year went! 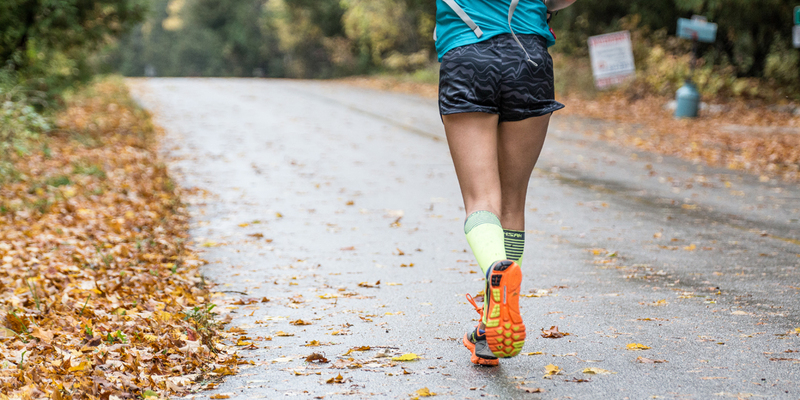 Did you conquer a new race or distance? Achieve a PR? Did anything go wrong for you? What do you want to improve on for next year? What are your goals for 2018? 2017 was a struggle. I started with big plans including a 50k & 100 mile trail run. Training was going GREAT until April when i sprained my ankle 2 weeks before my 50k. I was only able to run 13 miles of it. The next month I attempted my 100 miler, but my quads were not ready for the climbing due to little hill work, I dropped at mile 47. Three weeks later i attemped to run 32 miles for my birthday and sprained my ankle a SECOND time. I wasn’t able to start the Her Half that i literally signed up for 2 days earlier. I spent the rest of the summer recovering on a bike and slowly adding miles. 2018: I’m a little more than 2 weeks from The Louisiana Marathon with hopes for a BQ. However, the last month has been extremely difficult mentally so I’m trying to be flexible. If I don’t bq in LA I’ll sign up for a spring Marathon. I’ll also be running Ragnar with Kayla on her ultra team. So far thats all I got planned. Here’s to hoping 2018 is full of strong ankles and ZERO DNFS! Part of me started to feel like I had a terrible year. I missed one race all together and DNF’d at my two big races. How freaking discouraging?!? I’ll be honest, I struggled with this for most of the year but by mid summer I was able to be more patient. I started spending time with an old friend and supporting her through an injury. We both took a very long time to return to running consistently. We spent a lot of time biking, doing yoga and other cross training and even though I spent most of the spring and summer not running I felt good. Spending time with a friend going through an injury gave me another perspective. Sometimes, I can be extremely negative and straight up MEAN to myself. The things I would say about or to myself in my head are downright embarrassing. I decided to try to change my thinking a bit and I decided if I wouldn’t say things like that to my friend I WILL NOT say it to myself. Being human is difficult and it hurts sometimes, why should I make it more difficult by being my own bully. This year has been about being human and letting go of that negative internal dialogue. Instead of beating myself up over being, tired sore, slow, weak, I will instead be human and let myself feel all of these things. These things do not define me, and they are not etched in stone. So, back to that response, I’m actually feeling pretty good about 2017 as a year. It has been a year of recovery, rebuilding and learning. So I sprained my ankle before a race in April, I still got to run 13 miles on trails in May. So I had to drop out of a race I’ve paid for and never got to start 3 times, I still got to run 47 miles of that race and I have a fantastic story of running through a severe thunderstorm to tell. So I sprained my ankle again in June running on my birthday, I still got to run on my birthday and spend time with a good friend on the trails again. So I never hit a new personal record this year, I’ll hit one another year, and if not that’s ok too. The problem is those personal records are RECORDS and they might have to be what they are for a while. The end of the year was much sweeter when I started to look at my training differently and finally was able to run a couple races and be OK with the results. It hasn’t been a record setting year in terms of numbers, instead it’s been a record setting year in growth mentally and I’ll take that over any numbers you throw at me. I’ve also learned that I am a lot more persistent that I thought. Instead of giving up on running entirely I kept pushing. I should have given myself more time to recover after the initial sprain, so 2017 definitely taught me a few lessons. Next year, I hope to continue with that growth and flexibility. I want to make running and overall fitness more of a lifestyle and a way to cope with depression. I want exercise, in whatever form, to be a daily thing. I hope to change my training mindset to a living mindset. I will exercise to have a better, happier and healthier life and training for a race will just be a perk here and there. And… I’ll let myself be human.